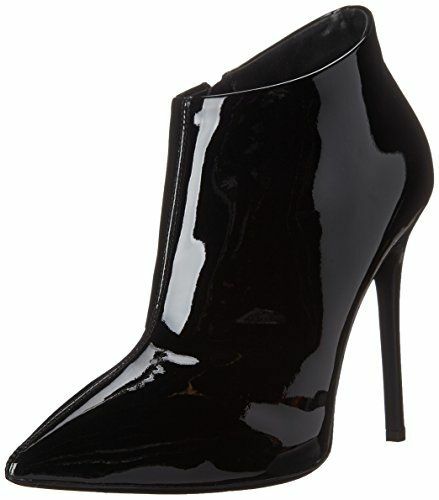 Giuseppe Zanotti's stiletto-heel, pointed toe patent booties are a great bet because they're incredibly versatile. Whether with jeans and a tee, a polished skirt and skirt or an edgy mini dress. 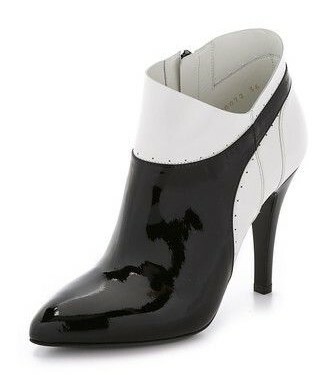 Since the silhouette is sleek, you'll be able to wear them over and over without that "ugh, those shoes... again?" feeling. And they're down to $394 from $895 at Amazon.com. Work. Weekend. Between. Beyond. 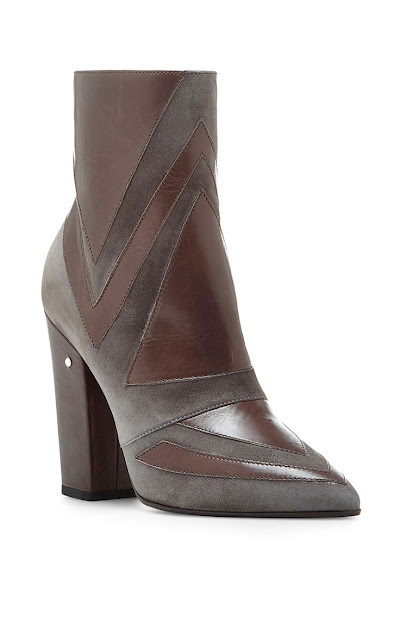 With a block heel, pointed toe and a textural combination of brown leather and gray suede, Laurence Dacade's Isola Ankle boot seems to have it all. We don't suggest going out to dive bars or clubs in these because (well) gray suede, but they're probably a front runner for brunches and other outings where you want to look polished but not contrived. They're $256, down from $945. Get them while you still can. On the fence about the fringe trend? It's time you join the fray because this free-spirited accent isn't going anywhere for a while. An easy entry is a classic pointed-toe bootie with western-inspired pull tabs and fringe at the ankle. 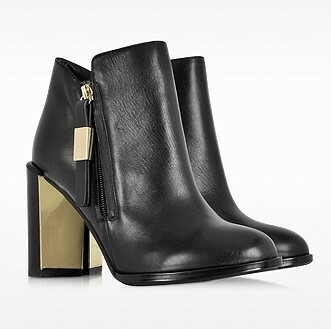 This "Paris" bootie by Saint Laurent is a luxe take, and you can get it for $498 (down from $995) at Kirna Zabete. Have you seen any great designer shoes on sale your fellow readers should know about? Have any of the styles above made it to your want list? Have a style on your mind you'd like our "Shoe Sleuth" to find? Let us know in the comments!